The Joint Opposition’s Dilemma: Who Is The Main Enemy? What the upcoming round of sub-national elections (PCs and PSs) will decide is the respective strengths of the official SLFP and the JO/SLPP. I for one am pretty certain that the JO/Podujana Peramuna will beat the official SLFP into third place in the PS/PC elections—the reason being the official SLFP’s role as the UNP’s ‘tail’. After the electoral outcome and on that basis, the two entities can either try vainly to eliminate the other politically and monopolize (not merely dominate) the space the rival occupies, or they can sensibly decide to reunite, perhaps not as a single party, but as a front or bloc, just as the LSSP and CP did when they came to their senses in 1968. 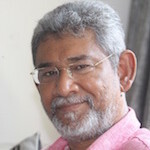 What would work in the short term is a post-electoral agreement to form non-UNP administrations at the PS and PC levels, in other words, flip over and thereby counterbalance the 2015 agreement the official SLFP leadership entered into with the UNP, to form a ‘unity’ government at the national level. There are those in the SLPP and the Rajapaksa family who may prefer to strive to monopolize the SLFP space even if it means that the UNP wins the 2019-2020 elections by the same slim margin that the Sirisena “spoiler” SLFP manages to retain. After all, Madam Bandaranaike could have backed either Maithripala Senanayake or Hector Kobbekaduwa fully and saved Sri Lanka and the SLFP much misery but she preferred to adopt a tactic of denial of the SLFP leadership to anyone else until one of her own children could succeed her (and even then she didn’t exactly give in gracefully). As part of their bid to eliminate Maithripala Sirisena and the official SLFP as a competitor, Basil Rajapaksa and the SLPP may be ambivalent about the continuation or abolition of the executive Presidency, but the influential hierarchy of the Buddhist clergy isn’t—as is evidenced the 21 point letter of the Malwatte and Asgiriya chapters to the President, which calls, inter alia, for the retention and protection of the Executive Presidency in any Constitutional change involving the devolution of power. The SLPP may wish to segment the issue of federalization from that of the retention of the Presidency and oppose the former while supporting the latter, but that simply won’t fly, not least because the SLFP voters won’t take kindly to any political stand that abolishes the presidency only to transfer executive power from a familiar SLFP personality to the hated UNP Prime Minister and the Northern and Eastern Chief Ministers, thereby entrench the UNP-TNA bloc. The Sirisena SLFP doesn’t understand that its projected moderation and non-family nature is irrelevant except within the envelope of anti-UNPism, just as SWRD’s project was of a moderate (compared to the Marxist Left) alternative to the UNP. Remaining tied to the UNP evaporates the legitimacy of the project. Similarly its rival, the new party, the SLPP, doesn’t understand that it can inherit the SLFP vote, not by targeting the official SLFP and doing a Macbeth on Sirisena (who did a Brutus on Mahinda) but precisely by being seen, heard and felt to attack the UNP and its more easily targeted rightwing leader. The Joint Opposition is impaled on the horns of a dilemma. The pair of horns is constituted by two competing political strategies. One strategy is that of polarization into two camps, the other strategic perspective that of the broadest possible national united front, “uniting the many, defeating the few”. Basil Rajapaksa and the Podujana Peramuna are adopting the polarization strategy, aiming their polemical guns at the formation that stands in between—i.e. the official SLFP—while dividing up the battle ground between the UNP and itself. In this round it seeks to eliminate the SLFP even if that entrenches the UNP, so as to monopolize the oppositional space and eventually take on and unseat the UNP. It considers a possible anti-Ranil realignment by Sirisena (a la CBK 2003-4) as the worst case scenario because it will re-legitimize him as a viable center of gravity and potential contender for re-election, and prevent the Rajapaksas from wresting/ inheriting the SLFP as a whole. Basil Rajapaksa and the SLPP strategists either do not understand that there are real contradictions within the Yahapalana government which can and must be utilized just as the UNP strategists decisively created or widened rifts in the Coalition governments in late 1964 and 1973-77, or they do recognize that there are contradictions but are of the view that the Opposition should tilt to Ranil’s UNP rather than the Sirisena SLFP! This is at the heart of the recent Vasu-Basil clash of political perspectives. One problem with the Basil/SLPP line is that it goes against the grain of the SLFP’s political culture as well as that of the center-left Opposition voter base, which always considered the UNP and especially its pro-West, anti-national rightwing, as the main enemy. The other line in the Opposition, that of the JO’s leaders and most experienced political personalities, veterans of decades of anti-UNP/anti-Ranil/anti-imperialist politics, is that of identifying and isolating the Ranil-led UNP as the main enemy and uniting with or neutralizing all other forces in a broad national front that includes the SLFP at least on an issue-by-issue basis. The JO knows that Sirisena’s SLFP cannot be wiped off the political map. The JO leading cadre, which encompasses generations of experience as anti-UNP militants ranging from the 1960s to the 1990s, know that the traditional axis of the UNP base vote and the minorities can be offset only by a center-left alliance and that this has always been the case. It is an axiom. Pushing away the official SLFP which could take away even a few percentage of the vote making the difference between victory and defeat, is far too great a risk. A center-Left or centrist bloc or united front cannot be recreated without a rapprochement with the SLFP, though (as the upcoming PC and PS elections will demonstrate) it will have to be under the pre-eminence of the established anti-UNP formation, JO. 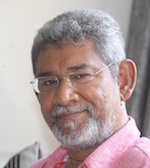 Given the unprecedentedly disastrous trajectory that Ranil Wickremesinghe’s UNP has placed this country on, if President Sirisena can be pushed into hitting the brakes and derailing the Ranil-CBK deviation, it is infinitely preferable to attacking him as the main enemy, keeping Ranil in play, and losing our country. The SLPP-Basil Rajapaksa line is of frontal assault, and that too on the vacillating centrists, the intermediate element– the President and the SLFP– rather than on the driving force and hegemonic element of the Yahapalana ensemble, i.e. the Rightwing junta. However, just as the Maestro of Opposition politics, JR Jayewardene did in 1973-1977, the JO’s leadership nucleus senses that the best way to deal with this Coalition government is to strangle it with the chain of its own contradictions, before launching a conclusive frontal assault and politically decapitating the Beast. MAIN ENEMY OF JO IS BASIL RAJAPAKSHE. BASIL RAJAPAKSHE IS THE MOST ABUSIVE MAN IN THAT CRIMINAL GANG. Dinesch Gunawardhana or others are just to survive through. He is no means a respectable politciain. So is Wasidehwa Nananyakara’s. Ha ha ha haaaaaaa ….. your version of Sunday Follies eh? All Lankn politicians’ main enemy is the country. That’s what they all eventually destroy. Now, you wouldn’t get that; would you? Where is the smarts in the patriotism? The first step in emancipating oneself from political and social slavery is that of freeing the mind. Have Dayan Jayatilleka de Silva ever predicted anything right? All his predictions in the past have failed. I am sure sensible politicians will not take Dayan’s advice even for a fart. He takes 64 positions all at the same time in order to cover his bum, whereas he has been a naked “Political Analyst” without sensing shame. Gramsi was not looking for inorganic naked intellectual. Predicting or contributing to the science of prediction by inventing or penetrating into new technology is not the aim. What sincere writer has to do in association with a team killed 22 journalists in 9 years? Pretending like to be predicting and influencing the actual perceived path’s movement and thus overturning the innocent, desirable results into their advantages is many time marketed as predicting by political parties. Teams’ agents are not predictors, they pre celebrate their teams’ victory as predicting. Self-appointed opinion leaders have been very successful in ejecting chaos into the vulnerable understanding and fragile thinking process and problems ridden life of the common or the middle and lower classes. People seek opinion leaders to borrow opinion, instead of being make one of their own opinions individually. This is not related to coercion. Coercion only follows, after successfully amassed the opinion-less to their side by selling their premade opinion, to deal with the leftovers and actual opposition. Coercion mainly used over competitors who attempt to educate the mass. Eliminating themselves or calling the established destroyers with loud noise to come to their support from & within free media has been long practiced by agents masking them as writers or opinion leaders or predictors. Those who pretend as writers and educator too played major role in 22 journalists’ death in Lankawe. Though one time actively sought Rajpals are gone they had ensured Lasanthas, Eklinegodas too are gone, before their departure. Concoction, framing and decorating stories are main tools used by agents pretend are educators and writers to fell their perceived enemies. Turning as a target is not the point but fearing of being turned into target is not progress either. It is like climbing on a slippery post. Failures, repetition and casualties are the norms of success. A free media based massive education campaign to channel the mass into actual democratic process rather than been victims of cronyism or oligarchy democracy is important. Mass should be taught to vote earthly candidates rather than for visible Mayas – that is Royal Princes, Beauty Queens or Cinema Heroes. The solution is, beyond NGOs, retired or matured and concerned citizens with the help of free media, educating the mass. That is, practically, returning again and again to the starting point, until human race is enlightened and educated to breathe the freedom by their own lungs instead of ventilators. 1. Is Cuba enemy of US? 2. Can China afford to treat US as enemy ? 3.Is Russia friend of Syria ? 4. Are Trump and Putin friends like Mahinda and Ranil ? 5. Why you treated Shashi Tharoor as an enemy of you ? 6. Are China and India friends ? 7. Will China, US, and Russia help India to become a permanent member of UN sooner ? 8. How many SriLankans from the minority groups are your friends in Srilanka ? 9.Can China survive without US market for trade ? 3. Third Place Sirisena-Ganja Dumi Dissa’s group. A filthy corrupt amoral O-Level former UNP clerk turned powerful MR sibling minister is a UNP agent also being sponsored by the USA to split the MR vote. This man has no qualms about furthering his ambition. He is a disgusting person who should go back to the USA and serve Chai or something. What a stupid arrogant corrupt individual with no qualifications but a brilliantly evil devious Machiavellian mindset. The US Embassy is using him to split the SLFP MR group to ensure Ranil remains PM and becomes a powerful executive PM. Sirisena’s balls will be lopped off by the US engineered election coup. Why the fffk do you think the US Ambassador is butting into every little thing? who is t main enemy? For the past seventy years – the politicians who created and exploited the infamous Lankan language/religious divide. For the next hundred years – the politicians who continue to persuade us that corruption nepotism and culture of impunity are necessary tools to maintain this divide. some where in this site I read a saying by Sun Tzu who said “don’t do what the enemy wants you to do. Instead do what you want to do”. So, Civil society groups have to educate voters about theives who want to get elected. Civil society should expose them. What important is not SLFP, UNP, three wheeler parties or the politicians playing musical chairs jumping from one party to the another (depending on the direction where political winds are moving). Dayan jayathilake, SLFP, Jackal oppostion, UNP and every body are playing the same fool, manipulate, exploit and win it another time. It is upto civil society groups to educate and get rid of these conmen and women who want to be politicians. Thero thinks everyone in world is a fool. Period. He can fool as many as he want, but there is only one SLFP. Period. There is some rented room on the name of your arch enemy GL. You are so shy even to refer about him here or tell his name. In that condition Please don’t tell a tale of SLPP, SPPP, PPPP…..Other GL nobody will quit SLFP to go to Joint Comedy Club, not even Rishard who in real need of a new government. You can convulse as much as you want. In the coming August, if Old King is not going under the feet of New King, he is wiped out of the Political map. You appear to be you are confident that if there is an ICC inquiry starts, you can tell lies and get out of that, but that is not the case of New King. New King will not appoint Old King as Prime Minister in the coming century and walk into the UN electric, taking the hand of his new Prime Minister, Old King. You lack practical sense. Otherwise you would not have messed up UNHRC 2009 and would drag it to until now. It is because of your mistake that UNP and SLFP are now in that trap. You did not manage and solve it at that time. Now you are trying to pretend that it is not there and trying to seat Old King as New Prime minister. But, please remember neither Old King nor Fonseka can become prime Minister until next 2019 election. The crux of matter is who is main Enemy of People is important . But decisive factor is that Right to Vote has been postponed and suppressed by UNP led regime headed by MS-President and CBK of ex-President ? In my I views is that democracy has lost all norms accepts by past Parliamentary system of governess has lost by right to Vote for the Democratic elections . Then people power of elections will be decided that who is the Enemy number ONE ? The People of Sri Lankan?